The U.S. Centers for Disease Control (CDC) recently announced that 19 people have contracted a potentially deadly E. coli infection after consuming rotisserie chicken salad sold by wholesale retailer, Costco. Food poisoning from certain strains of E. coli bacteria, such as the strain discovered in the Costco chicken salad, can cause kidney failure, permanent organ damage, and death. Infections related to the contaminated salad have been reported in seven states, including Utah and California. To date, five infected people have been hospitalized, two of whom were diagnosed with hemolytic uremic syndrome (HUS), a form of kidney failure that can cause permanent organ damage. 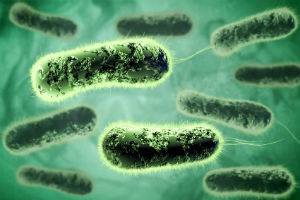 The number of people sickened by this pathogen is expected to rise, as the strain of E. coli found in the chicken salad is known to be particularly life-threatening. There are, however, no reported deaths thus far. Costco stopped selling their chicken salad on November 20th, the day the company became aware of the E. coli outbreak. Consumers are advised to throw away any Costco rotisserie chicken salad purchased on or prior to November 20th, 2015. A combination of diced celery and onions distributed by California-based Taylor Farms Pacific, Inc., has been identified as the primary source of the E. coli bacteria. Taylor Farms Pacific, Inc. has since recalled additional products that may contain contaminated E. coli celery and onions. The FDA has released an official list of all stores affected by the recall, which includes such retailers as Walmart, Sams Club, Target, Starbucks, and several others. Food items at these stores which may contain contaminated celery and onions include pre-made sandwiches, wraps, and several kinds of prepared salads. Retailers, restaurants and consumers should not buy, serve, sell or consume any recalled products from Taylor Farms Pacific, Inc. The Costco E. coli outbreak follows the recent E. coli food poisoning incident at Chipotle restaurants in Washington and Oregon. However, there have been no reported HUS cases or deaths linked to the Chipotle case. If you or someone you love have been affected by contaminated Costco chicken salad,or if youve experienced food poisoning from another store or restaurant, contact the skilled food poisoning lawyers at Phillips Law Group immediately. A personal injury lawyer Phoenix from our legal team will review the details of your claim and determine if you have a case.